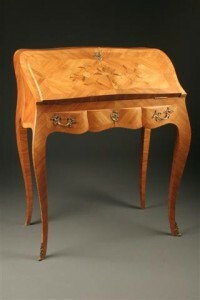 19th century Henry II French writing table.19th century Henry II French writing table. 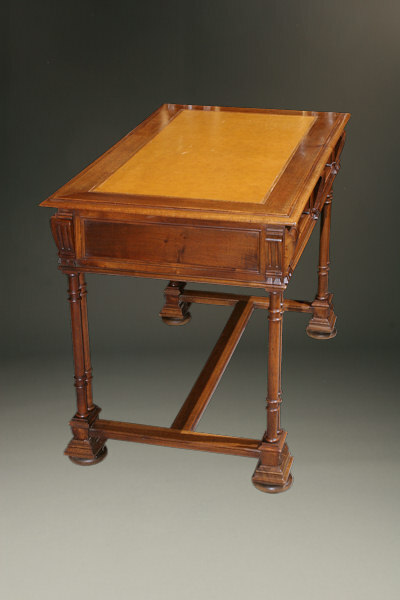 19th century Henry II French writing table. 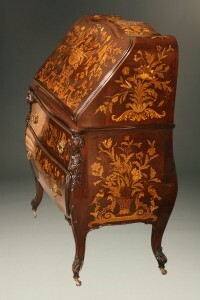 The French refer to the monarch for which this style is named as “Henri Deux”, which is known for its Italian influences. 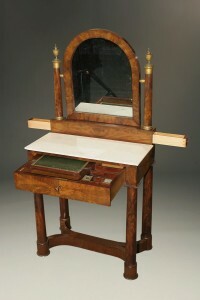 Henri’s reign came right after the Renaissance and his marriage to a Medici family member furthered the Italian influence on French styles. 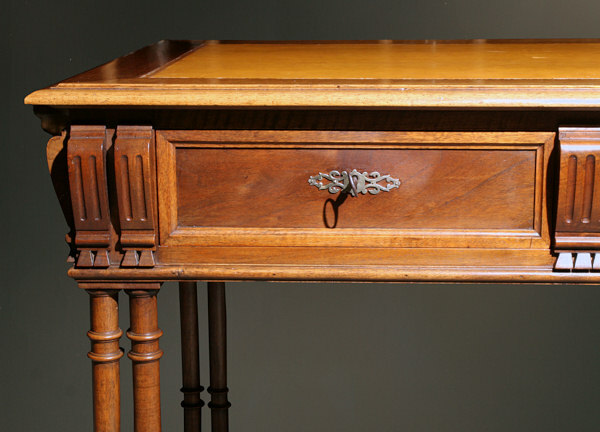 Circa 1880, this antique writing desk was crafted in the Henri II style out of walnut that now has a lovely patina. 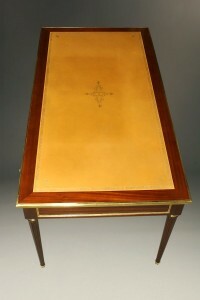 The soft tan leather top has embossed gold edging. 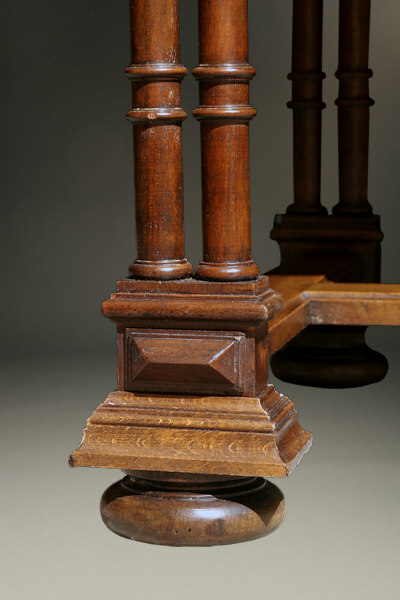 Pairs of columns form each leg that reach down to a stretcher base set atop bun feet. 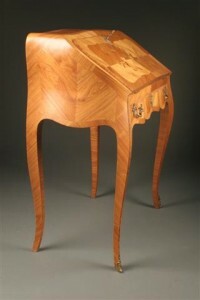 The apron features fluted corbels that surround the drawers, as well as adorn the sides and back, adding visual heft. 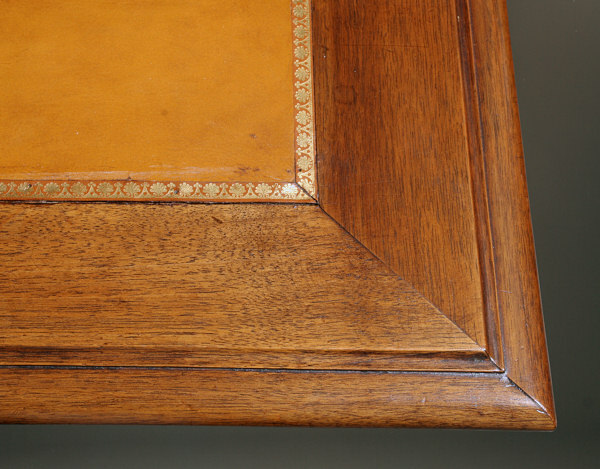 The corbels appear to support the top of the desk, though they are purely decorative. 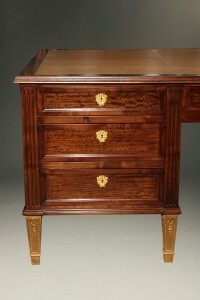 Solid oak was used as the secondary wood for the drawers and features beautiful hand cut dove tailed joinery. 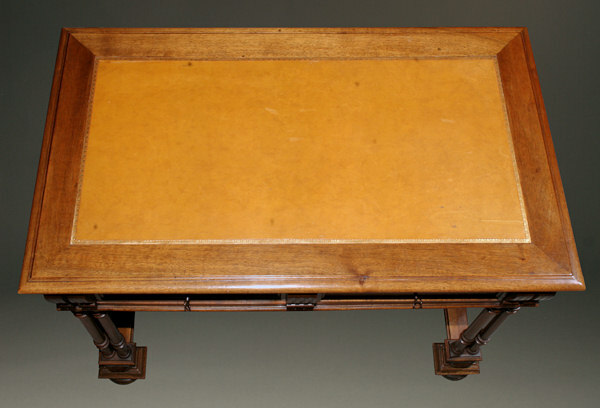 One drawer has a divided compartment. 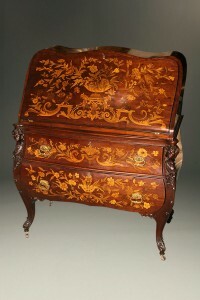 The iron escutcheons and keys serve as both handles and locking mechanisms, which is not uncommon for Henri II style furniture. 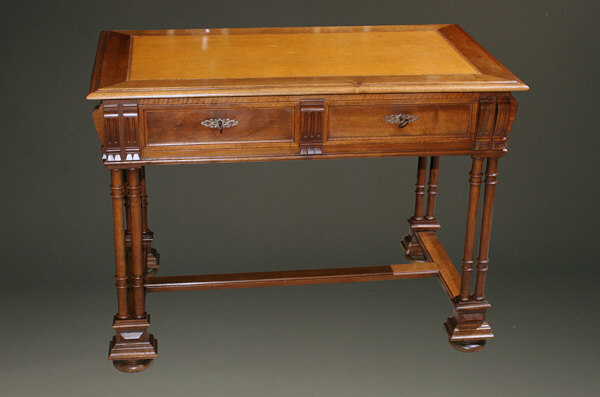 The size of this writing desk is very versatile – not to large or to small but just right for any place in your home you are looking to add an eclectic style. 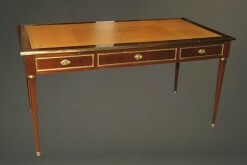 While it is large enough to serve as a writing desk, it is also small enough to fit nicely in a foyer, hallway or master bedroom. 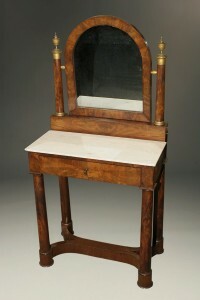 French Empire period dressing table in mahogany with marble top. 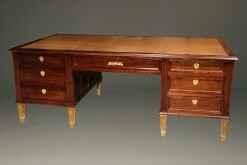 French satinwood and prima vera mahogany, Napoleon III partners desk.